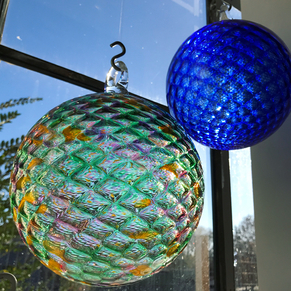 Take in the finest sights, sounds, and tastes of Asheville in a completely new way — alongside your best friends on a party bike! 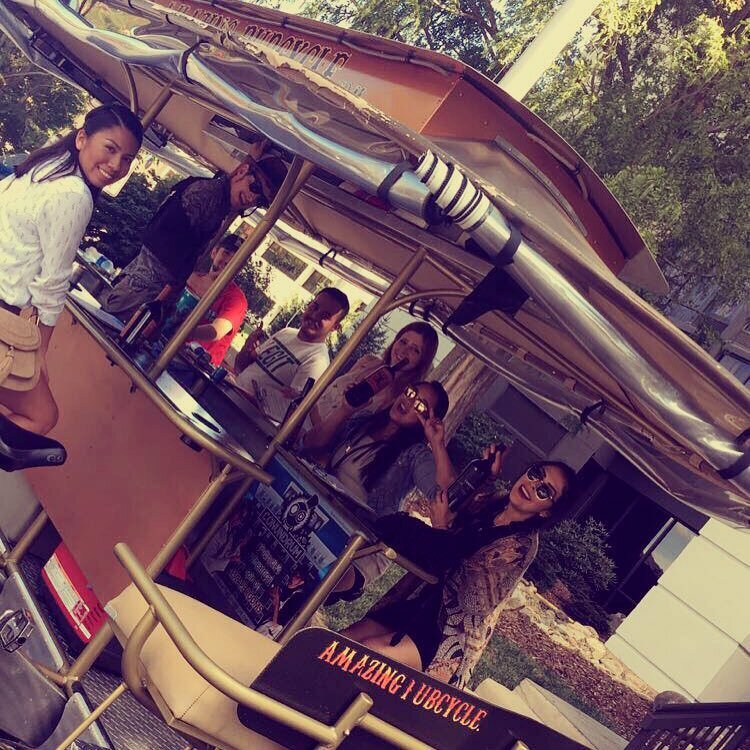 The Amazing Pubcycle grants you a different perspective of the city while bringing the party to the street. 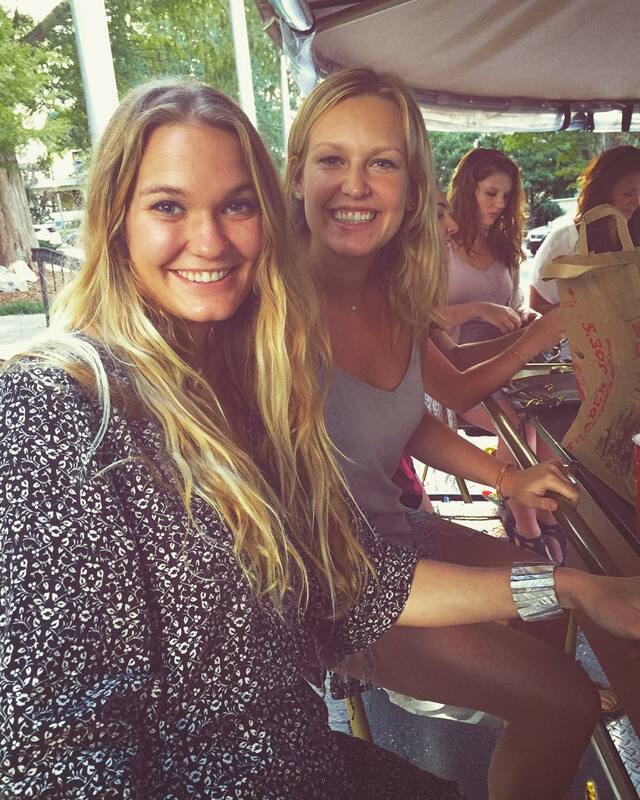 Party bike tours are a big hit in Asheville, where locals and travelers alike gather on thirteen-seat bikes to explore the best of local nightlife. The Amazing Pubcycle brings a relaxed, yet exciting vibe to the trend, allowing you and your best buds to see the city in a new light. Pubcycle tours depart from the Aloft Hotel on Biltmore Avenue and the Renaissance Hotel on Woodfin Street. Parking is available in the garage below Aloft or in the Renaissance Hotel’s rear lot. 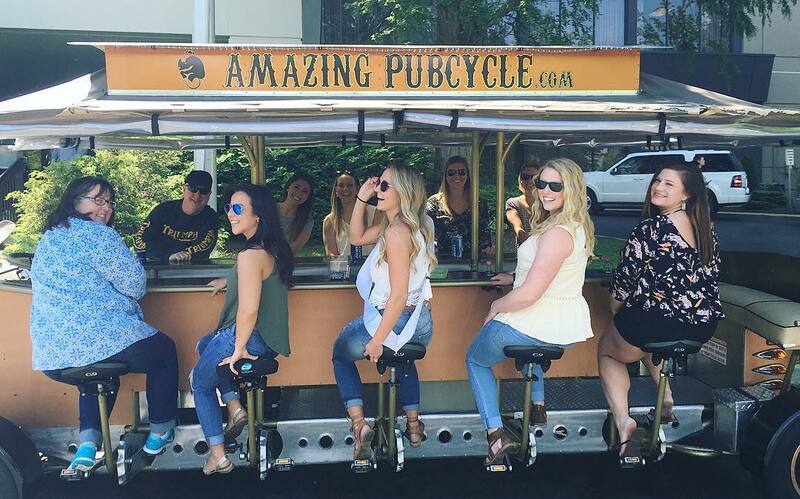 Amazing Pubcycle tours are strictly BYOB — and only wine or beer are allowed. 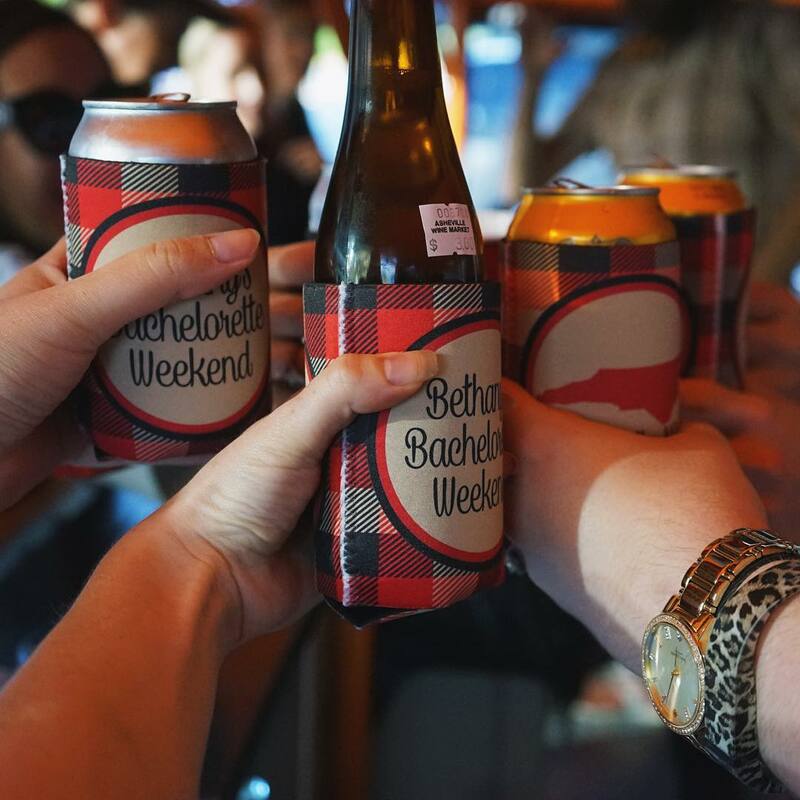 Canned beer and boxed wine are preferred, but glasses are available for those who bring bottles. Don’t even think about bringing hard liquor or a keg on the bike. No worries; many tours make pit stops at local bars. These stops tend to be abbreviated, so don’t expect to spend more than twenty minutes in the bar before you return to cycling. Tour guides are incredibly personable. 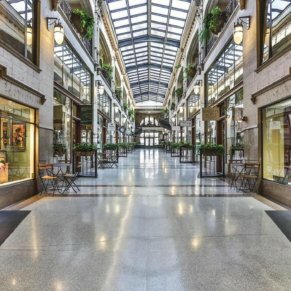 You might not come away with a detailed knowledge of Asheville history, but your tour guide will alert you to the latest local trends — and will crack plenty of jokes along the way. Tours roll through Asheville at the leisurely pace of 6 miles per hour. All bikes have automotive braking systems. Safety is a clear priority; your guide will instruct you on protocol before you depart. You’ll also discuss local ordinances and behavioral expectations before setting out. 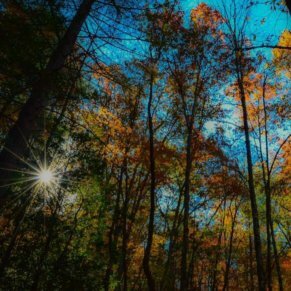 It might seem like a lot to take in, but it’s all to ensure that you and your loved ones remain safe as you explore the best of Asheville. 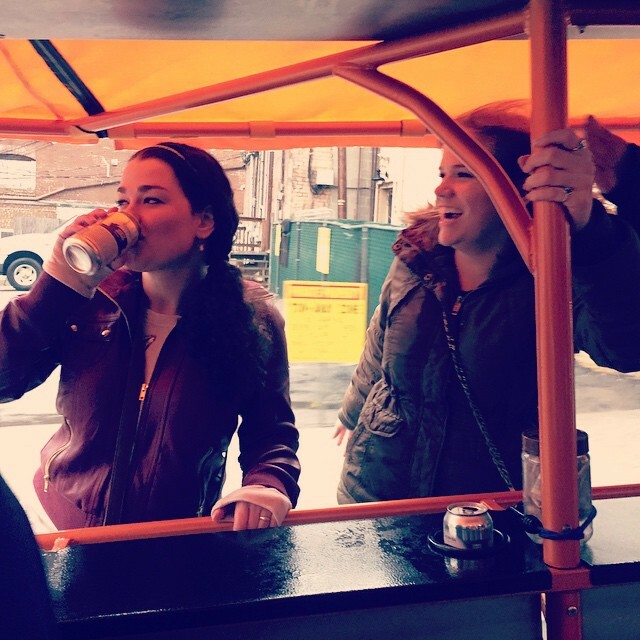 If you only have a little time to spare and aren’t particularly interested in stopping at pubs or breweries, you’ll appreciate the brevity of The Amazing Pubcycle’s Nomad Tour. Lasting just forty minutes, this tour gives you a good feel for the downtown atmosphere. This is the tour most people associate with The Amazing Pubcycle. 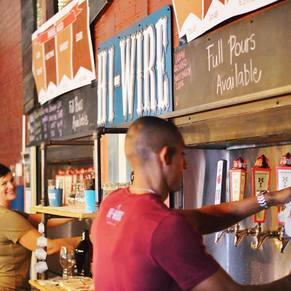 It involves an hour and a half of pedaling, drinking, and exploring the heart of Asheville. You’ll have the opportunity to stop at two bars for twenty minutes each. Stops vary slightly from one tour to the next, but typically include either Catawba Brewing, Conundrum, or Pack’s Tavern. This variation of the popular Pub Tour is designed for large groups. Pickup and drop-off for Tandem Tours take place at the Aloft Hotel. 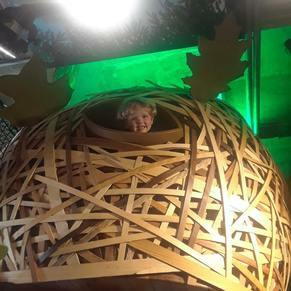 Like the Pub Tour, this option lasts over an hour. Unlike the Pub Tour, it only includes one twenty-minute bar stop. When booking, be sure to include ‘Tandem Tour’ and your name in the notes section. 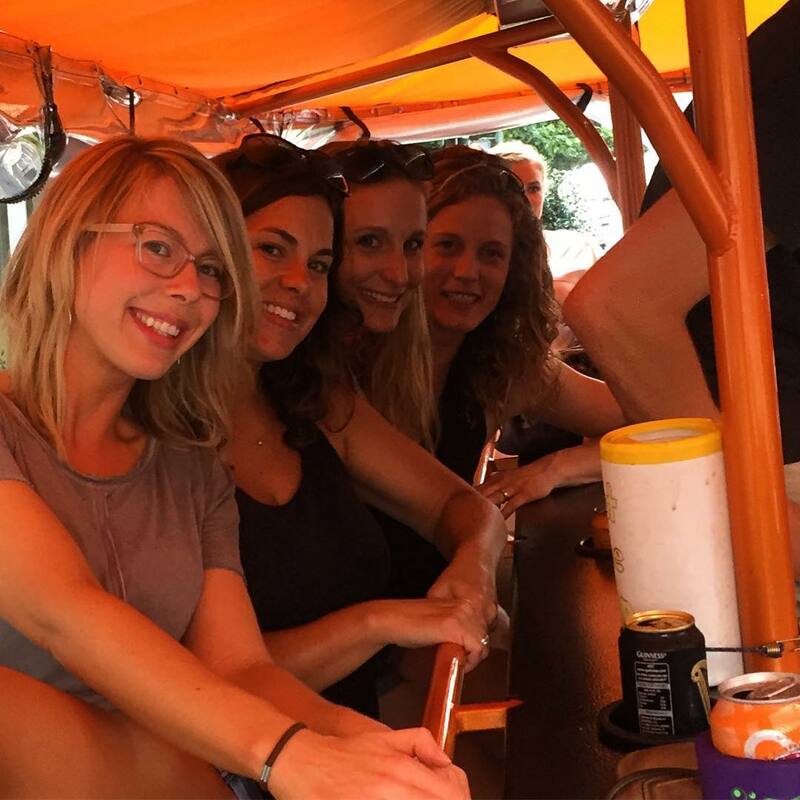 Whether you’re ready to go all out for your bachelorette party or simply desire a quick tour of Asheville with loved ones, you’ll appreciate the journeys available with The Amazing Pubcycle. Stock up on your favorite brews — and prepare for a memorable adventure on wheels. -Think twice if you plan on booking a small group. The Amazing Pubcycle imposes a minimum of at least six people, but the preference is clearly for ten or more. If your group only includes a few people, you will be combined with another small group. If The Amazing Pubcycle is unable to put together a large enough group, the tour may be rescheduled for another day. -Make the most of short bar visits and write a list of drinks for the bartender in advance. Better yet, order a pitcher for your entire group. One person should cover the tab. Bring cash or use Venmo to split the bill. -Few locations are more tempting for selfies than a party bike, but cell phone use is not allowed during the trip.